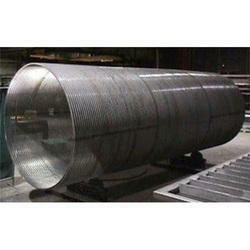 With our immense domain expertise, we are engaged in offering a broad array of Rotary Screen. It is suitable for variety of applications such, as sugar coal, mining processing cement etc. The screen is made available in different finishes and specifications to comprehend the varied requirements of our prestigious clients. In addition to this, this screen is designed and manufactured using the finest quality raw material and advanced machines in adherence with set industry standards. Looking for Rotary Screen ?